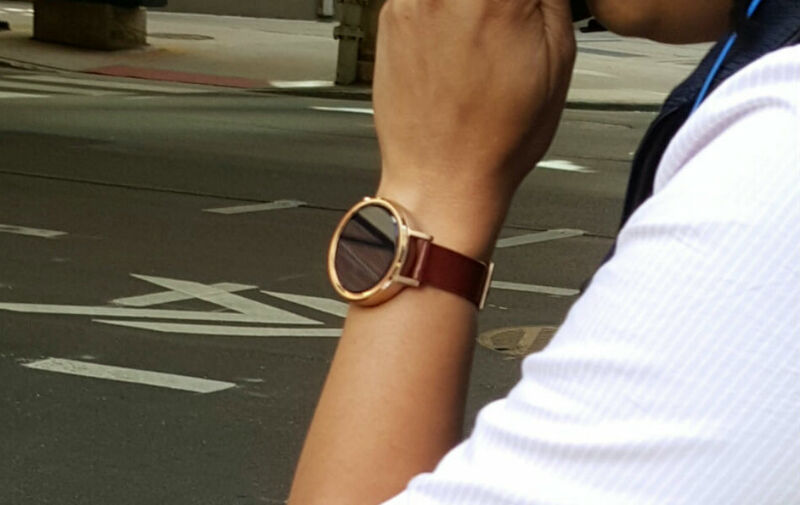 According to one user on reddit and one on Google+, the Moto 360 (2015) is out in the wild in the city of Chicago, the hometown of Motorola’s US headquarters. 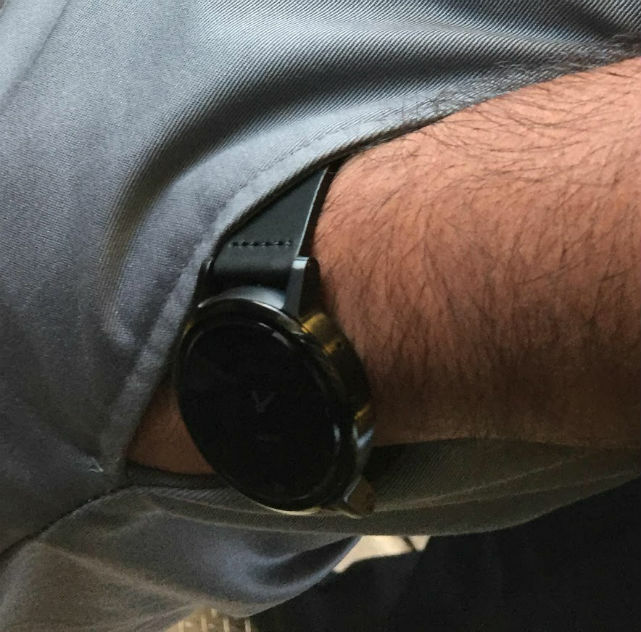 It appears two versions of the watch have been spotted, one an all-black model with Black leather straps, and another with a Cognac band and Rose Gold casing. Neither person who spotted these devices decided it would be a good idea to talk to the wearers, but given the lugs seen on the device, and the power button placed in the 2 o’clock position, they knew they should start snapping PI-like photos to share on the web. As we can see in the photos, the black bar (aka flat tire) is still present, likely storing the same ambient light sensor as last year. Other than that, these photos match up nicely against all of the previous leaks we have seen for the device. 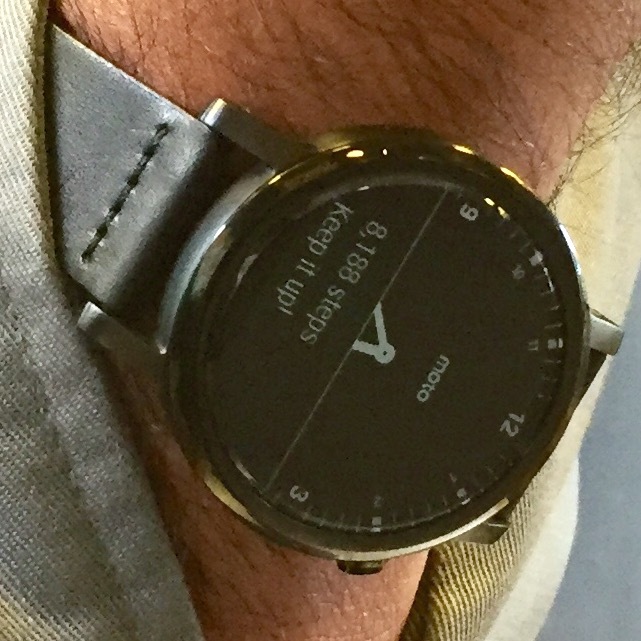 We still don’t exactly know when Motorola plans to announce new Moto 360, but with employees walking around Chicago with it, we must be close.